It’s 6 a.m. and my 2-year-old is running up and down the paved walkway behind a string of hotels. The sidewalk is flanked by palm trees, a marina full of sailboats and a rising sun reflecting red on glassy water. Nearby, a seagull cries out and sandpipers flit about on the sand. It’s October, and we’re in San Diego for a weekend to see my dad off on a sailboat rally headed for Mexico. Just over 10 years ago, I inhabited San Diego as a college student. Life looked much different back then. The sandwiched bungalows along Mission Beach were a likely haunt for me — hosting house parties at night and, by day, teeming with bikini-clad girls skipping class and barefoot, salty surfers coming in from the waves. Now, more than a decade later, I’m back in the sunny Southern California city for the first time as a parent. 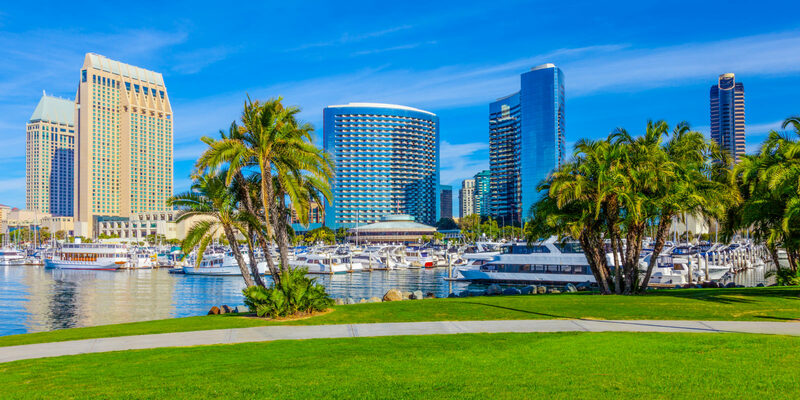 And after just a couple of days in San Diego, it becomes obvious that this laid-back town is the perfect place for young families. It’s easy to meander without an agenda, enjoying the splendor of the sunshine, the architecture and the breezes in the palm fronds. 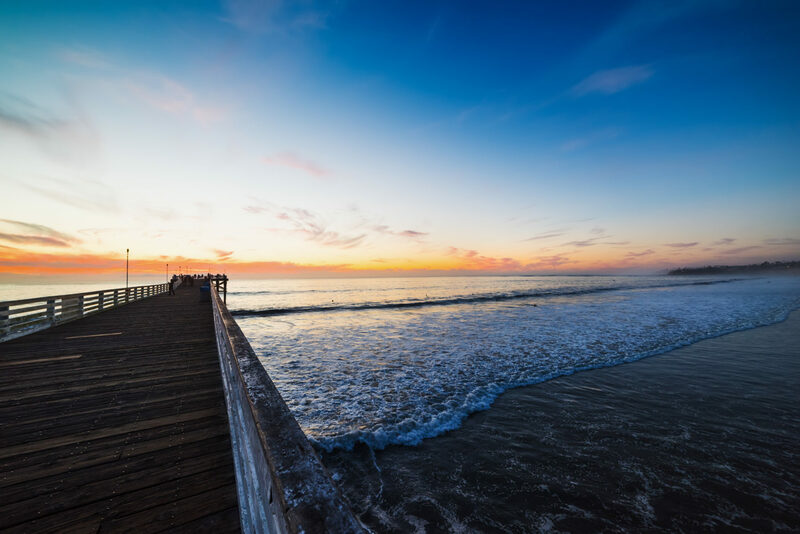 While we’re there, we barely scratch the surface of all there is to do in San Diego with kids. But our weekend adventure is just enough to put us fully in the moment — which is exactly what we all needed. 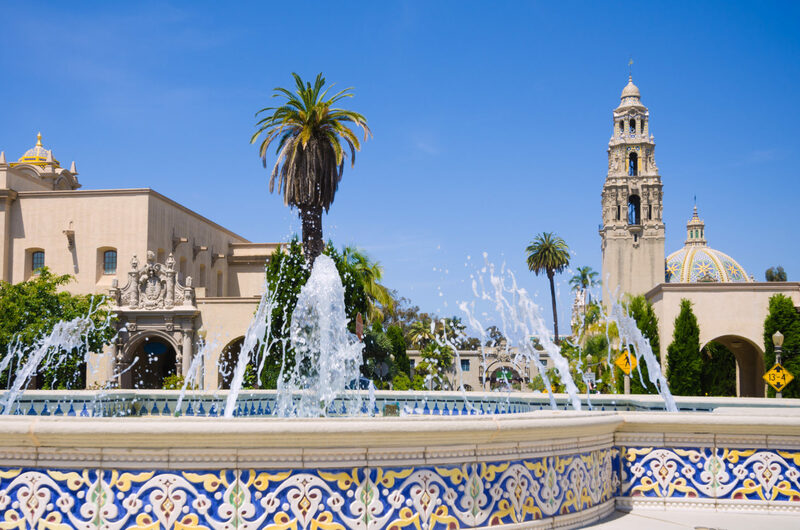 On Saturday, we head to Balboa Park, a 1,200-acre sprawl of gardens and Spanish mission-style buildings filled with museums, shops, cafés and a traditional Shakespeare theater in the round. We stroll around, taking in the stucco architecture, enjoying the sunshine and stopping to eat a snack next to a fountain — where we end up fending off two rather presumptuous and hungry ducks. Just beyond the fountain, we take turns dissecting the scents of dozens of different types of roses (“I smell tangerines!”, “Just like my grandmother’s perfume!”). Later, we ogle the ancient-looking, oversize cacti in the neighboring garden. It’s amazing to imagine how these huge plants were likely around when the Spanish conquistadors inhabited town. In the evening, we make our way to Old Town San Diego. This plaza is the center of an 1800s Spanish village full of Mexican restaurants, shops selling miniature ceramic burros and colorful, Yucatan-style aprons and oven mitts. It’s just after Halloween, so rose-adorned skeletons decorate the village in celebration of Dia de Los Muertos. As we wander, we can hear the echoes of mariachis sounding from the patios of alleyway restaurants. We finally land at Casa de Reyes, where we crunch on house-made tortilla chips with smoky salsa and sizzling fajitas with homemade flour tortillas. 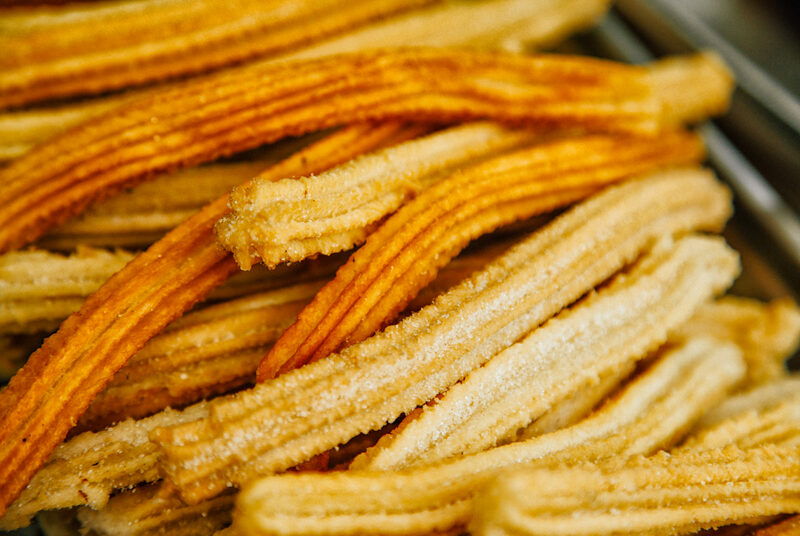 Afterward, we drool over sugar-and-cinnamon-covered churros at a stand nearby. In the mood for Mexican food? Head to Old Town for an authentic feel and flavor. On Sunday morning, I convince my husband to return to my favorite brunch spot from my college days: The Mission Restaurant. Today, the popular café still serves sizable lattes and fluffy slices of challah French toast. It’s the best I’ve ever had, grilled just enough to caramelize bits of sugar atop swirls of cinnamon, not unlike the churros from the night before. After brunch, we set out for a long walk along the boardwalk, starting in Mission Beach and heading north through Pacific Beach. The path is busy with walkers and beachgoers. Eventually, we arrive on the cliffs overlooking Tourmaline, one of the best beginner surf spots in San Diego. A stroll up the Pacific Beach pier puts our 2-year-old right above the surfers catching waves that curl off the pier’s wooden flanks. She giggles with excitement every time a surfer slides down the face of a wave and rides a board into shore. 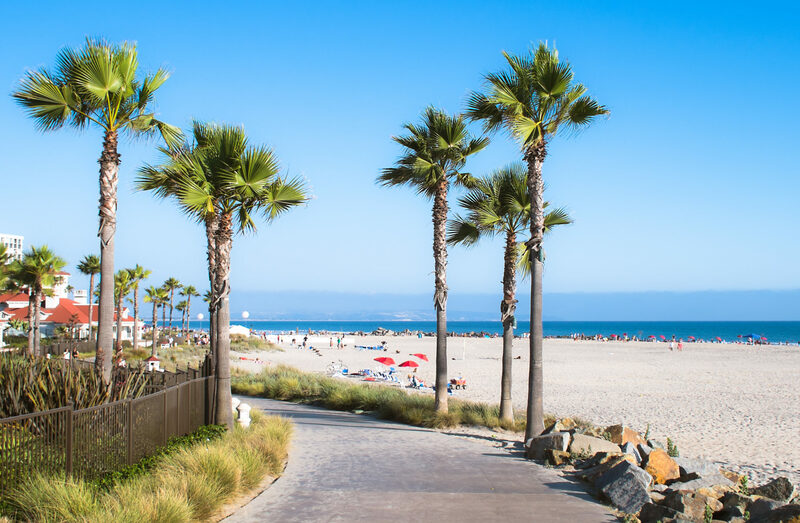 A few other ideas for family fun: Go to Legoland California or the San Diego Zoo Safari Park, rent bikes to explore Mission Bay or enjoy a day of good ol’ beach play. Ali C. T. is an outdoor-gear expert, adventure-travel writer and journalist based in New York’s Hudson Valley.